With 40+ years of combined experience in the residential locator, leasing and management industry in the Minneapolis – St. Paul area, we are committed to excellence in customer service and will cater to your individual needs. Our property management company is small, which enables us to work more closely with each owner. What is important to you is important to us. Full Service Leasing – We will advertise and show your property, do a full background check on prospective tenants and submit to you for your approval, provide lease paperwork and facilitate the lease signing with the new tenant. à la carte Management Services – If you’re an owner of a rental/investment property looking to be able to call upon a professional management service for occasional assistance, then this option will be perfect for you. Many owners don’t need the ongoing monthly management services, but do need someone to be there for assistance on certain issues. Let us deal with these issues promptly and professionally. Examples of these services are move in/out inspections, quarterly inspections, CRP distribution etc…A full list of our services are available upon request along with the individual prices. Property Management – We take care of it all – rent collection, maintenance, quarterly or semiannual inspections, move ins/outs, etc. If you want to be a “hands off” property owner, then this is the option for you! Call us today at 612-998-3034 or 612-251-3223! 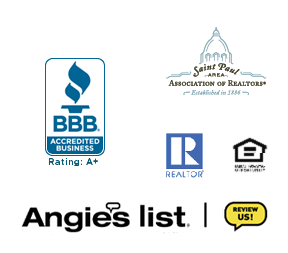 The Complete Management Services team specializes in property management in the Minneapolis – St. Paul area, and Twin Cities suburbs. In addition, our team members are knowledgeable on greater MN and areas including St. Cloud, Albertville – St. Michael and Monticello. Call us or email for more information today!